Much like other musicians in the post-punk and alternative rock vein from which they come, Parquet Courts aim to be as cryptic and distant as artistically possible. This is why their music seems descended from decades-old D.I.Y. and lo-fi progenitors. This is why, in 2014, the band still don’t maintain any social media presence. This is why their new album, Content Nausea, is billed under the name “Parkay Quarts” instead of their usual moniker. Perhaps that superficial change relates to something meaningful within the band, but from the outside it just looks like another distancing measure, something to keep the music obscured and isolated from the public eye after hitting #55 on the Billboard 200 earlier this year with Sunbathing Animal. Is the name change a sincere gesture or a joke? In the age of too much information, Parquet Courts harness the power of the enigma. Content Nausea is a good album. Parquet Courts make themselves as quintessentially alternative as ever on it, offering a veritable taster of underground rock’s distant and recent past including angular post-punk (“Everyday It Starts”, “Psycho Structures”), dissonant noise rock (“The Map”) and freewheeling jangle pop with the discordant tinge of the Velvet Underground (“Slide Machine”, “Pretty Machines”, “Uncast Shadow of a Southern Myth”). Overall, the album seems more downbeat and folkier than the band’s previous efforts, a subtle removal from the punk sphere into the realm of more loquacious, intellectual rock ‘n’ roll. Fans will still find the music as self-assured and disruptive as ever, but the lyrics have edged out the music as a priority on many songs, lending an air of introspection that’s not nearly as pronounced on earlier efforts. On the album’s title track, vocalist Andrew Savage laments the impersonal attitudes of the digital age, singing lines like, “Too much data, too much tension / Too much plastic, too much glass”, “The consequential chore that unfolds in the naked sprint from screen to screen / Scrolling binary ghettos for escape”, and “People clicked and people read / ‘Modern life’ is what it said." Today, it’s hard not to read technophobia as willful ignorance at best, paranoid delusion at worst, and pretentious posturing somewhere in the middle, and while the song is impressively well-written and articulated, Parquet Courts seem less committed their own themes on Content Nausea and more committed to emulating the political and social leanings of their idols, particularly Wire, Gang of Four and Mission of Burma. Parquet Courts have always worn their influences on their sleeve, but considering Mission of Burma followers are much less common than Joy Division followers these days, they’ve made it work for them, just as Savages made their Siouxsie and the Banshees devotion work for them on their 2013 debut. Plenty of modern musicians bank on the fact that it’s hard for people to criticize pastiche when it’s so good, and they’re right—it is. Few original post-punk bands were nearly as prolific as Parquet Courts are now, though (except, of course, the Fall), and to some extent that’s their way of staking out their own territory. Almost no one is making music like Content Nausea anymore—brash, confrontational, energetic and amusing on every song. We live in an age of music where everything is nostalgic and everything is in retrograde, from mainstream pop to the most underground alternative music, which is not a bad thing; the past informs the future of art, after all. 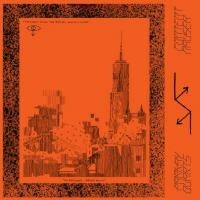 Parquet Courts are our ambassadors to a very specific time and place in the past, and Content Nausea is another satisfying gift from that era gone by, even if it’s in service of a critique of a future age.